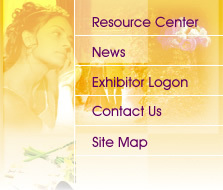 Pre-register by 23 March 2008 to receive your Admission Badge. Please present your ID Card at the Registration Counter to receive the badge during the Fair. Pre-register by 16 March 2008 to receive your Admission Badge. Please present your passport at the Registration Counter to receive the badge during the Fair. Should you encounter any problem during the registration process, please contact us directly via (karen@expo.com.hk ). Thank you. Keep-fit Equipments & Products Other Health Products & Services for Brides and Grooms.